Ramen. With a nutritional value near that of cardboard yet a taste so addictive and comforting, ramen is a guilty pleasure for most. I still remember one of the first dates I went on with Lu to Momofuku in NYC. 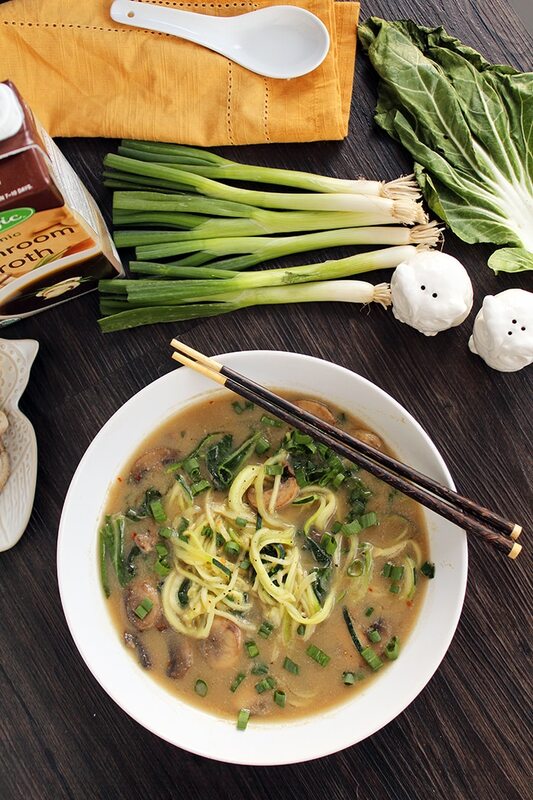 I’ve mentioned it before on the blog: the Ginger Scallion Noodle Bowl. 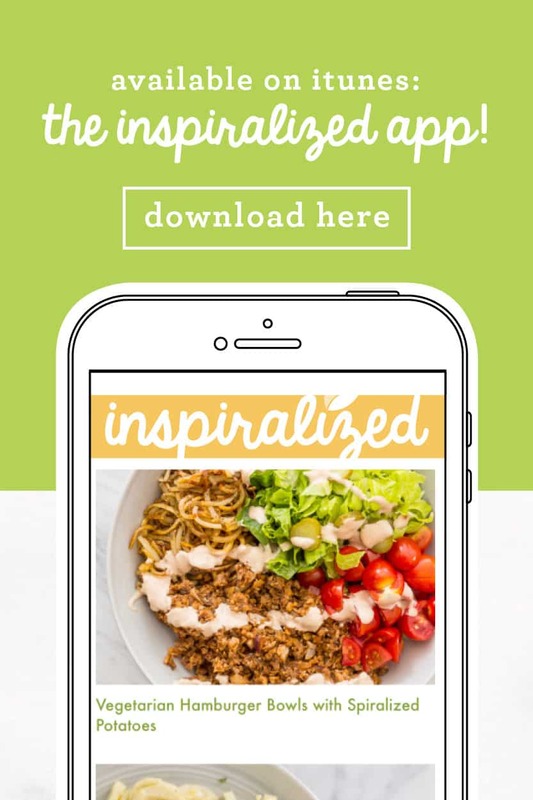 I loved it so much that I’ve made a few similar renditions on Inspiralized. But today isn’t another version of that noodle bowl. 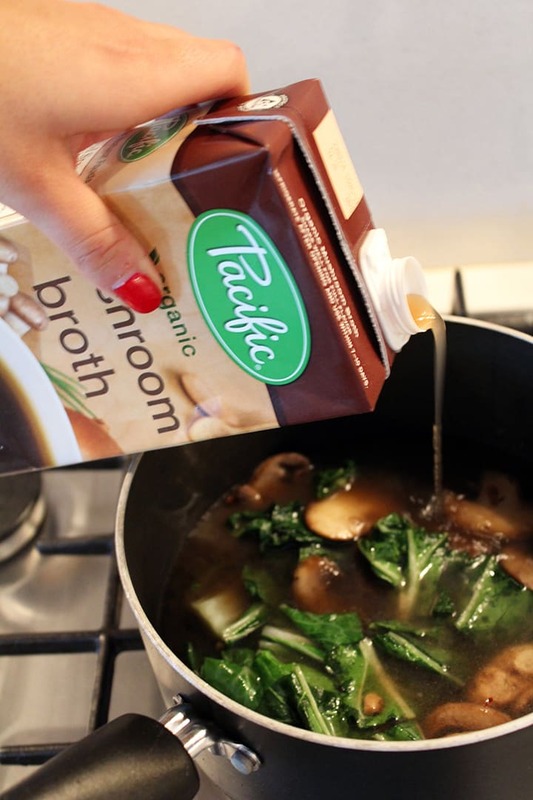 Today, I have a special treat for you, featuring Pacific Foods‘s Mushroom Broth! Since you all loved my chicken pho recipe using their Pho Soup Starter, I figured I’d bring you yet another delicious dish using one of their broths. You’ll have to head over to the Pacific Foods blog to check out the recipe. 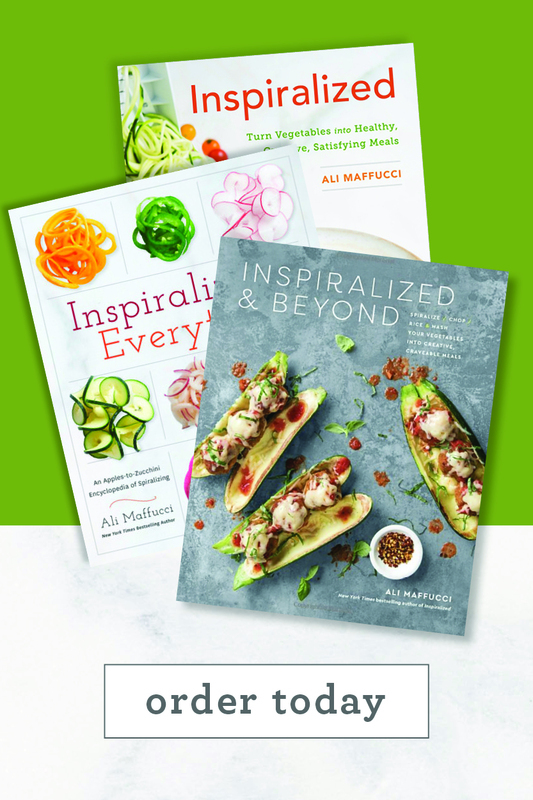 Over there, I’m giving some more tips on how to incorporate zucchini noodles into your healthy eating New Year’s resolutions! 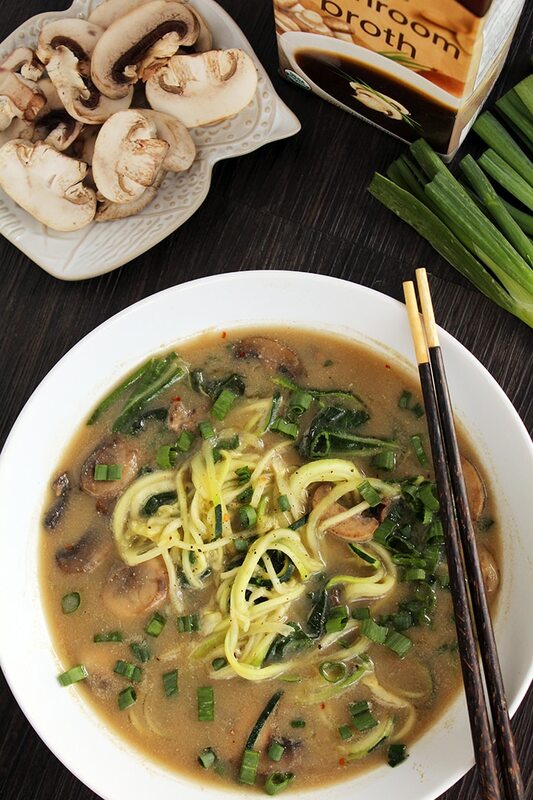 This beautiful bowl of noodles is packed with nutrients from miso paste, leafy green veggies (bok choy), an organic mushroom broth, mushrooms and of course… zucchini! Why is this “ramen“? Well, cut the broth in half and it will be less soupy and taste just like a miso ramen dish. However, I kept the soupiness for the wintertime. The recipe is totally versatile – add in chicken, pork, tofu or shrimp and add some more flavors. 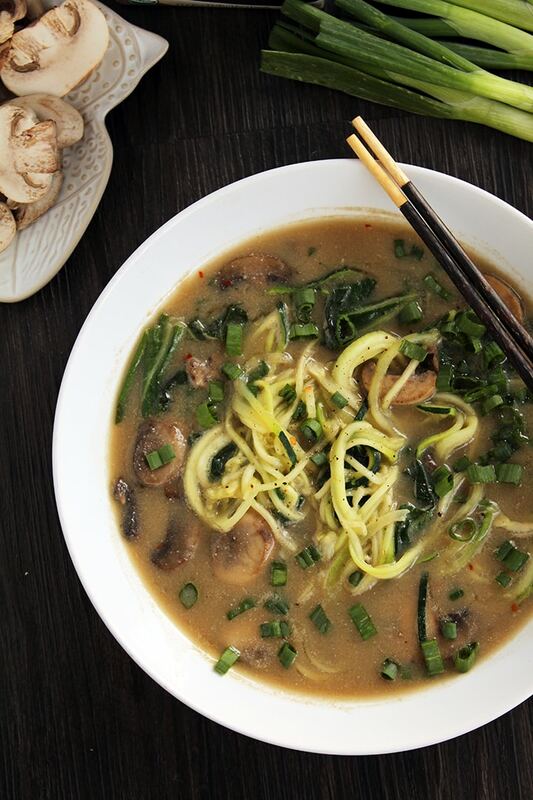 The Pacific Foods Mushroom Broth works wonders in this recipe (plus, it’s organic, paleo-friendly, vegan, and gluten free!) as it infuses the vegetables and creates a delectable aroma. When I was boiling the broth, I took so many spoonfuls I had to start over. Love leftovers? No problem! Just prepare the noodles and broth separately. 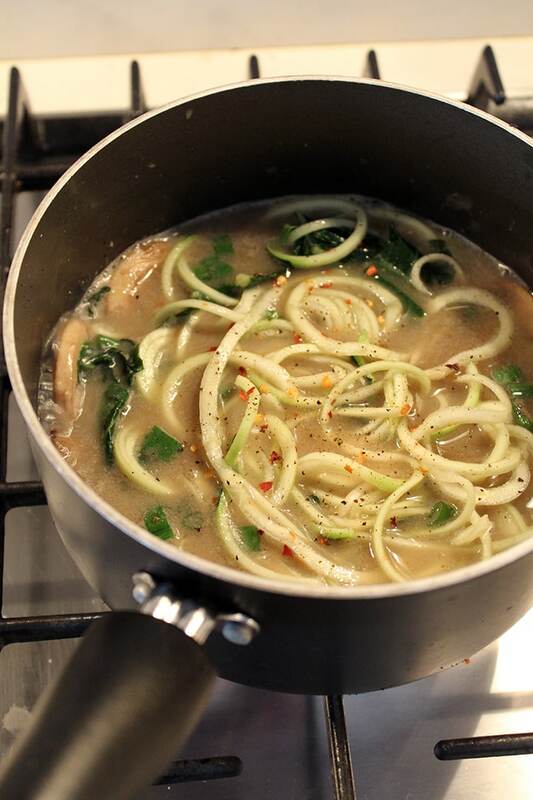 Later, add the broth to a saucepan, bring to a boil and add in your zucchini noodles for 2-3 minutes. See? Healthy eating is EASY when you have the right food in your pantry and a spiralizer on your countertop. What are you waiting for? Remember, you can find the recipe on the Pacific Foods blog! Note: While Pacific Foods sponsored this post, all opinions are my own. This looks great, but I went to Pacific Foods and couldn't find the recipe. This morning I saw an amazing Rad Rainbow Salad on my pinterest feed from Oh She Glows, the next thing I know I'm on Amazon buying a spiralizer. 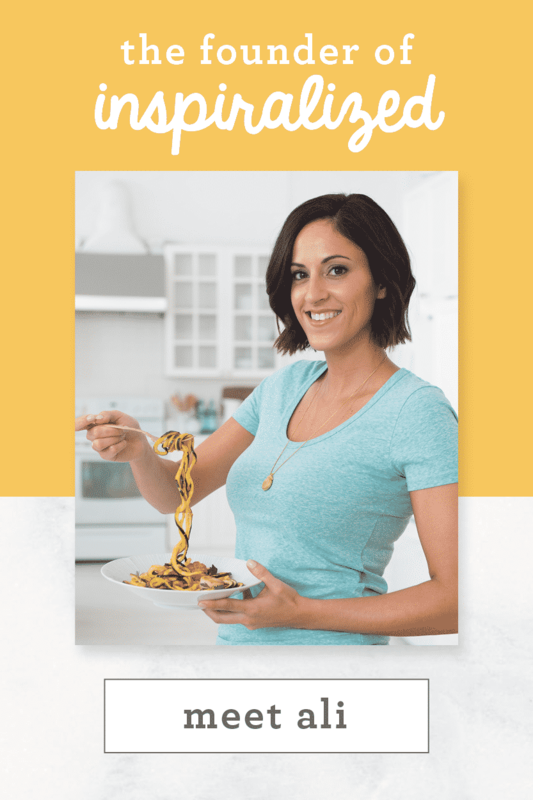 I was so excited about it I posted about it on fb so now I've possibly got a few friends converted and finally I find your amazing blog dedicated to the Spiralizer. I can't wait to get it and dive into your recipes. Who knew it was going to be this kind of day. 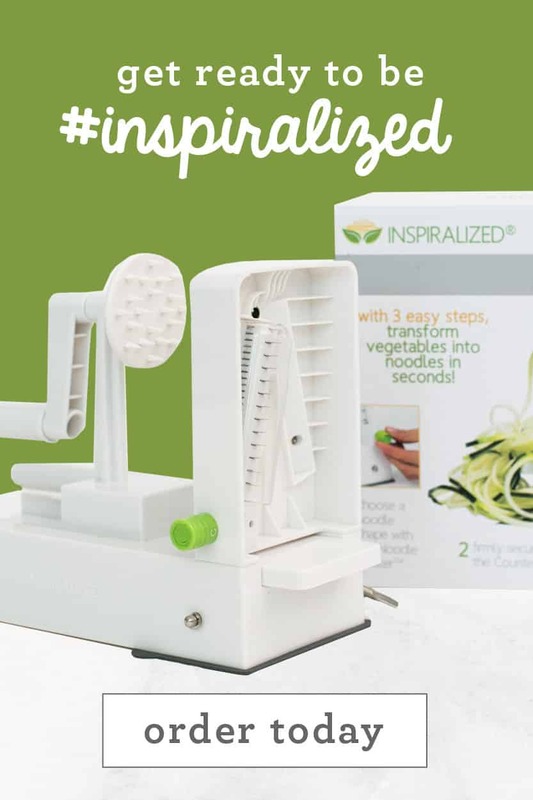 I just found this blog yesterday, in anticipation of my Spiralizer's arrival. 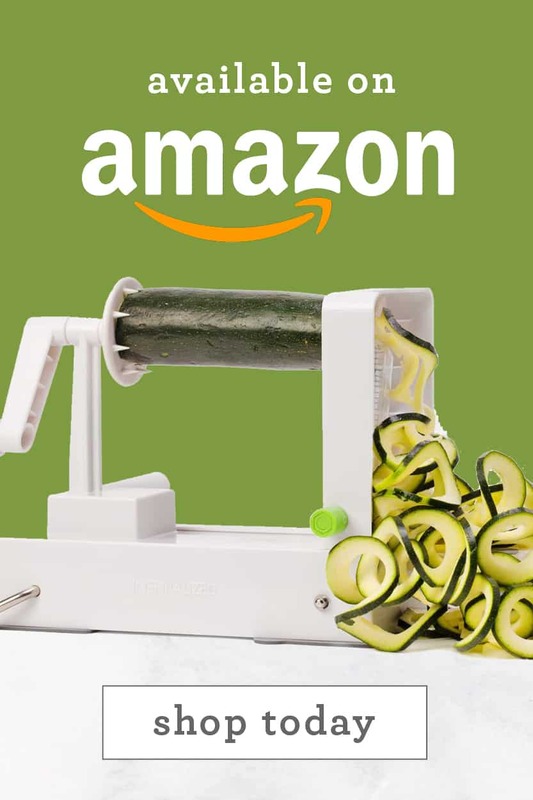 I put off buying one for months because I'm not a big zucchini fan,..but now it's good to know that there's so much u can do with this gadget!!! I looked at the recipe and at one part it says to add in the mushroom broth and water but I didn't see water listed in the ingredients. 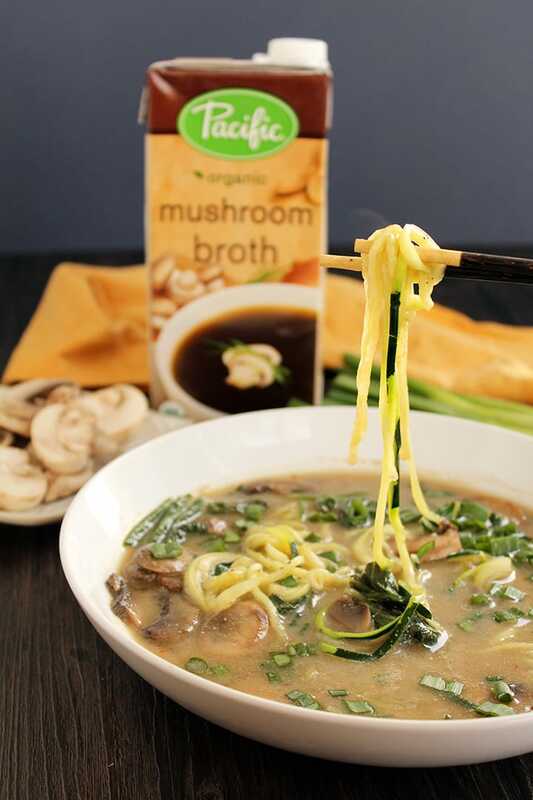 Is it part of the mushroom broth or do you add water too? I can't wait to try this recipe, it looks delicious. this takes Ramen to another level - love love love it. 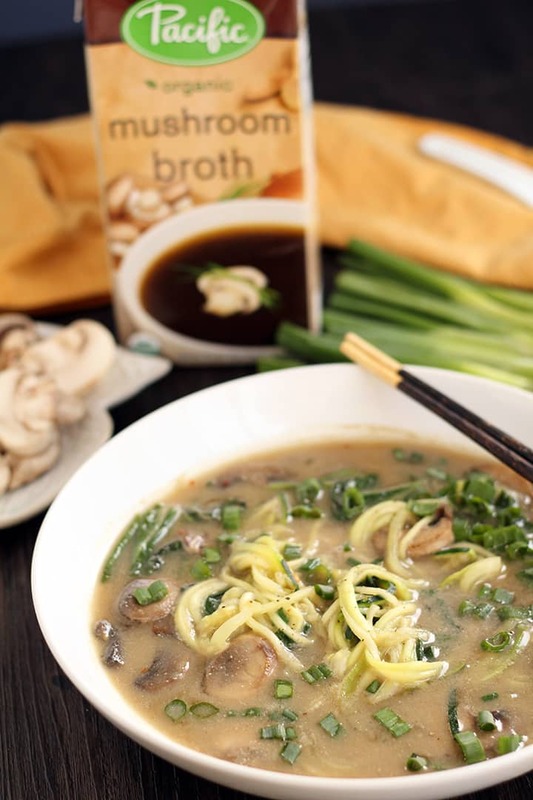 I need to get my hands on some mushroom broth! I love Momofuku ramen so I know I'll love this! Hi Ali, Your recipe states to add 2 cups of the Mushroom Broth "and water" to the pan. However I don't see any notation for how much water in the ingredients list. Can you please let me know how much water to add? 1/2 cup of water! Sorry for the omission! Just made this for lunch! It is really fast to prepare and quite tasty. Thank you! Also, I noticed the recipe on the Pacific Foods website didn't say how much water to add, so I assumed 1/2 cup. Awesome! I happened upon this recipe while looking for something new for my spiralizer zucchini. 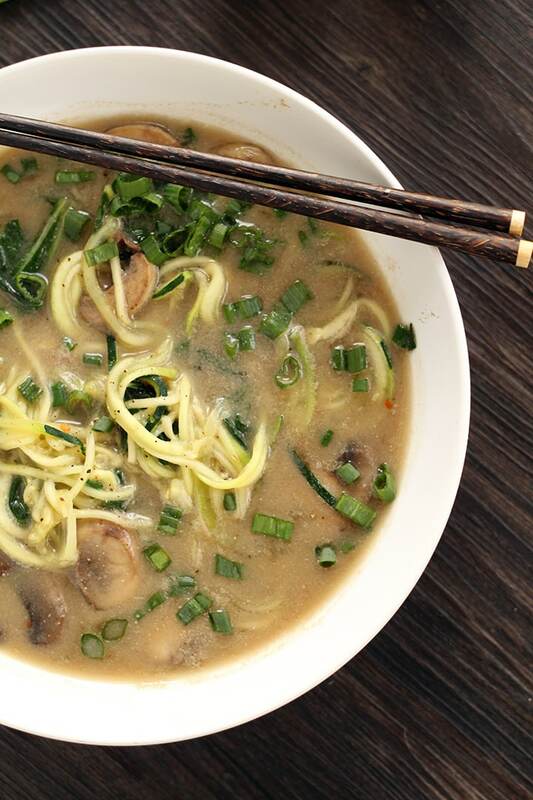 As delicious as this sounds, I just want to point out that miso is generally not gluten free. Mostly barley based, although there are some that are rice based. If I find some gf brands I'll post them here. This was absolutely wonderful, thank you. I live in London so couldn't get the mushroom broth so I used some chicken stock. Thanks for this and all of your delicious and easy recipes! Im so happy to hear you liked it, thanks for letting me know! 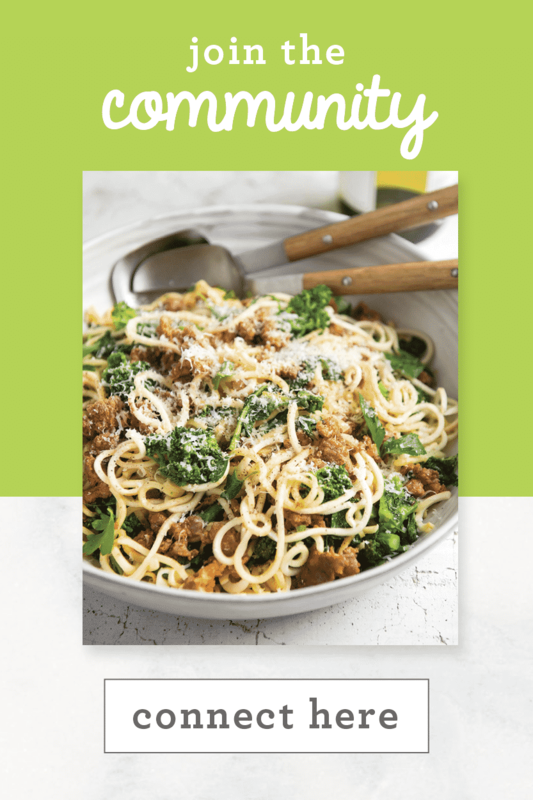 This was the first recipe I made with my spiralizer, and it's been such a huge hit with the family. My daughter insisted I add it to the rotation "all the time," and my boyfriend wants me to make it again for the 3rd time in 2 weeks! 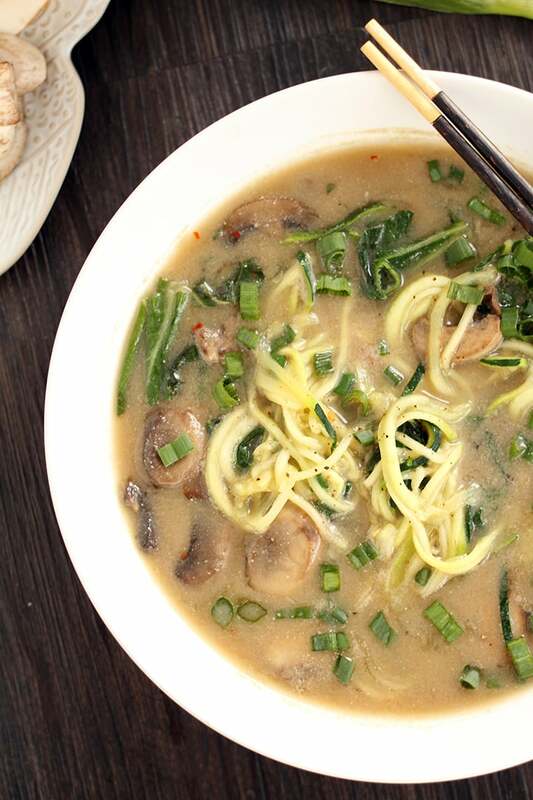 I love that you have to eat it with a fork or chop sticks, and slurp the delicious broth. First recipe with my Inspiralizer. Epic! So flavorful. Thank you! Where is the recipe? This looks amazing. I just found your blog and am excited to get a spirilizer.